Beaver Excavating Company crews began work on the Ohio Department of Transportation’s $113.2 million Interstate 75 Widening and Reconstruction (Hancock County/Through the City of Findlay) project last March and are expected to complete it in May 2020. Beaver Excavating Company crews began work on the Ohio Department of Transportation's $113.2 million Interstate 75 Widening and Reconstruction (Hancock County/Through the City of Findlay) project last March and are expected to complete it in May 2020. The work zone, which spans 5 miles and includes work within the city, covers the area south of Harrison Street/county Road 144 (Hancock County) — just south of the state Route 15/U.S. Route 68 interchange — to the county Road 99 interchange in Findlay (Hancock County). The purpose of the project is to improve the safety and efficiency of the corridor and increase its capacity, according to the project website. The project will reconstruct the existing pavement on Interstate 75, add a third travel lane in both the northbound and southbound directions, reconstruct the interchange between U.S. 68/State Route 15 and Interstate 75 (Lima Avenue) and upgrade the roadway to modern highway standards. Robert White, the Hancock I-75 project engineer of ODOT District 1, said the project is much needed. The project also includes the replacement of the Harrison Street overpass and all of the mainline bridges on I-75, and the construction of noise walls along the interstate at the following locations: Carlin Road north of county Road 313 and south of Harrison Street/county Road 144 on the east side of the interstate; Broad Avenue between U.S. 224/Trenton Avenue and Bigelow Avenue/county Road 96 on the east and west side of the interstate; and Crosshill Drive from north of Bigelow Avenue/county Road 96 to just north of Hillshafer Drive on the east side of the interstate. ODOT has long valued the benefits of roundabouts to help improve the flow of traffic. With the Findlay airport nearby and with I-75 traversing the Norfolk Southern railroad, special coordination efforts have been required with both entities throughout the planning and construction of the project. Additional special construction elements of the project include the relocation of a Marathon pipeline adjacent to I-75 and considerations for flood mitigation given the Findlay area's propensity to flood. The new bridge over the Blanchard River, the main historic contributor to the area's flooding, was designed wider to restrict water beneath the bridge less than its predecessor. In addition, rather than filling in an area beneath an abandoned railroad bridge, a Quonset-style steel arch was installed instead to keep water flowing through the area during times of heavy rain. The DOT has made serious investments in the area, including a $135.7 million project on Interstate 75 through Lima and Allen County from the Auglaize County line to just north of state Route 81, which was completed in the fall of 2016. Funding for the current project is based on state and federal contributions. This section of Interstate 75, which was originally constructed in the 1950s, last saw major work in 1989. 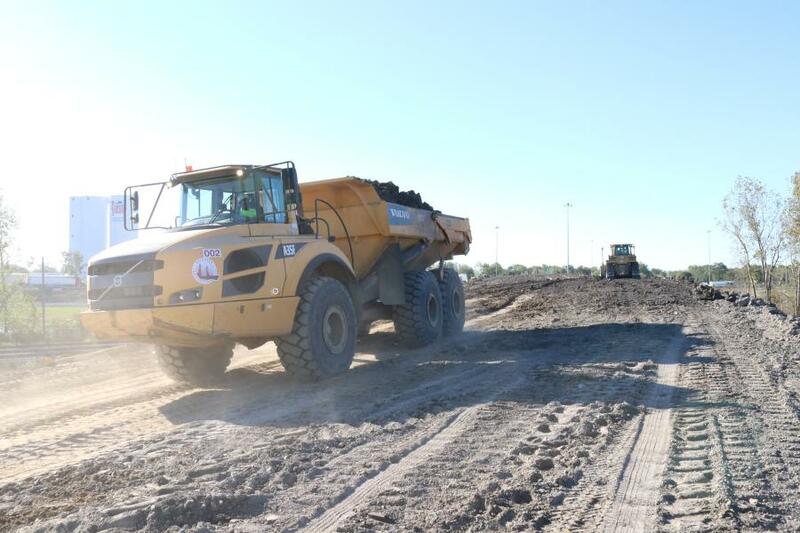 The section is used by more than 52,000 cars and trucks daily and will be able to support 60,000 vehicles per day, the projected I-75 traffic by 2036. Parsons Brinckerhoff, now doing business as WSP, designed the new infrastructure. 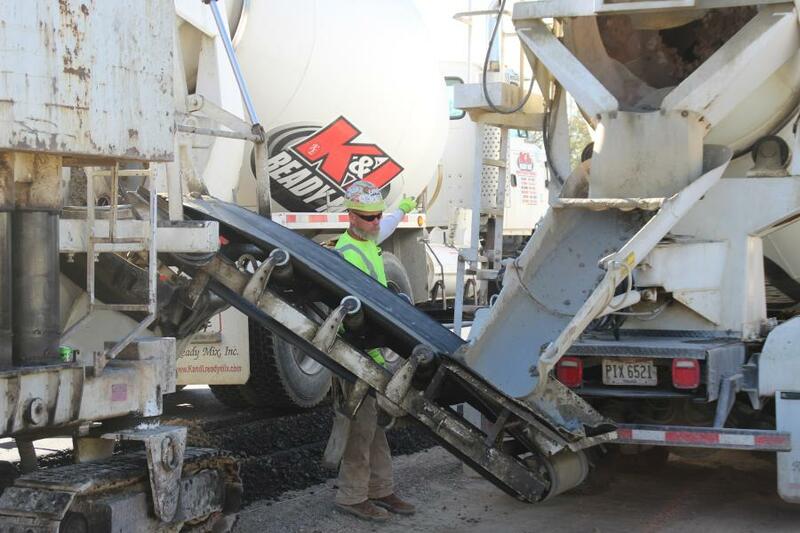 In addition to the replacement of aging pavement and the enhancement of traffic flow, safety concerns have been addressed in the interstate's reconstruction. “This project addresses short entrance and exit ramp merges with I-75, reduces congestion and optimizes roadway geometry,” White said. Despite the project's magnitude, I-75 has remained open throughout its duration, with two lanes in each direction open a majority of time. Single lane restrictions occur as need during nighttime hours. Entrance and exit ramps along I-75 have been closed temporarily, though never concurrently. Three surface streets in the city of Findlay have been affected: River Road and Howard Street, which run beneath I-75 and are closed intermittently as needed for operations on I-75, and Harrison Street, which closed for the replacement of its bridge over I-75 and is set to reopen this winter. Closures and restrictions have been reduced due to a contraflow lane pattern on the mainline lanes, traffic shifts and a phased approach to construction. Those phases have the chance to become fewer in number. “A value engineering change proposal [VECP] has been submitted to reduce the number of construction phase lines required,” said White. Worker and motorist safety has been a focus for both ODOT and its contractor on the Hancock I-75 project. For the first time on a significant interstate project, ODOT District 1 has employed variable speed limits. Electronic message boards display a reduced speed when workers are present and return to normal when work is not taking place. The project also utilizes an electronic warning system to inform motorists when traffic ahead is slowed. Devices mounted within the work zone detect slowed traffic and display on a connected message board the current speed of traffic ahead. ODOT is using a variety of resources to keep motorists informed about road closures and construction updates, including social media sites, video updates, the OHGO app and OHGO.com. Thus far, Beaver Excavating has been doing a lot of dirt work on the flyover ramp from I-75 southbound to U.S. 68, which will wrap up in the spring. 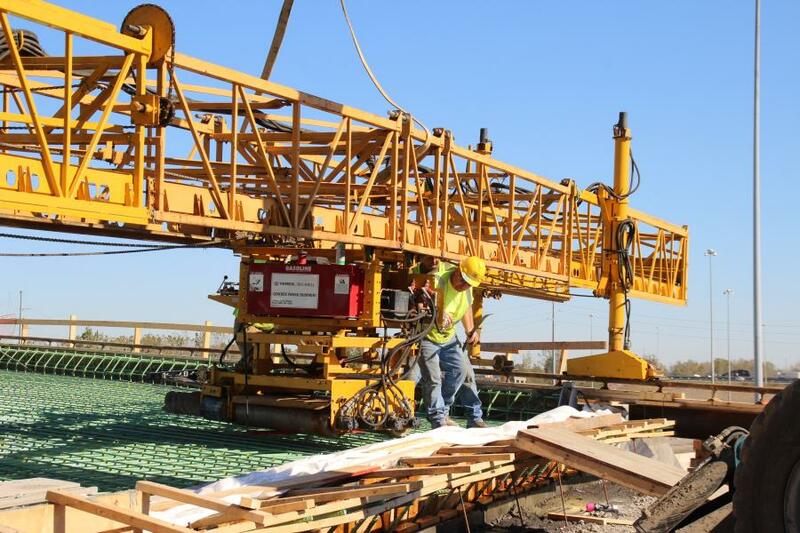 The first phase of the Blanchard River bridge is under construction, with the deck poured in early November. Traffic will be diverted onto the new bridge in December. The Harrison Street bridge is almost complete with the deck having been poured and approach slabs installed in early November and sidewalks will be installed in the coming months. The paving and intermediate base has been placed on the northern half of the project, with traffic to be shifted in December, and a lot of drainage work has been done, including jacked and bored culverts, box culverts, under drains, storm sewers and other related items. A CCTV system has also been installed. The construction of a service road off Lima Avenue connecting to Lake Cascades north of the U.S. 68/SR 15 interchange is under way and nearing completion — it still needs a bit of asphalt, with a final tie-in to Lima to be built in 2020. The noise wall construction began in October, starting from the south end and should be completed in July 2018. The Harrison Street over Interstate bridge, which is being reconstructed, was closed last May and should be open to traffic in early 2018. The concrete deck was poured on Oct. 20. The goals for the 2017 to 2018 construction season are opening Harrison Street, shifting traffic onto new pavement and setting beams on the flyover ramp bridges. Ben Geletka, Beaver Excavating's project manager, is very aware of the challenges of working in an urban setting and his experienced staff and crews are putting in a solid effort. 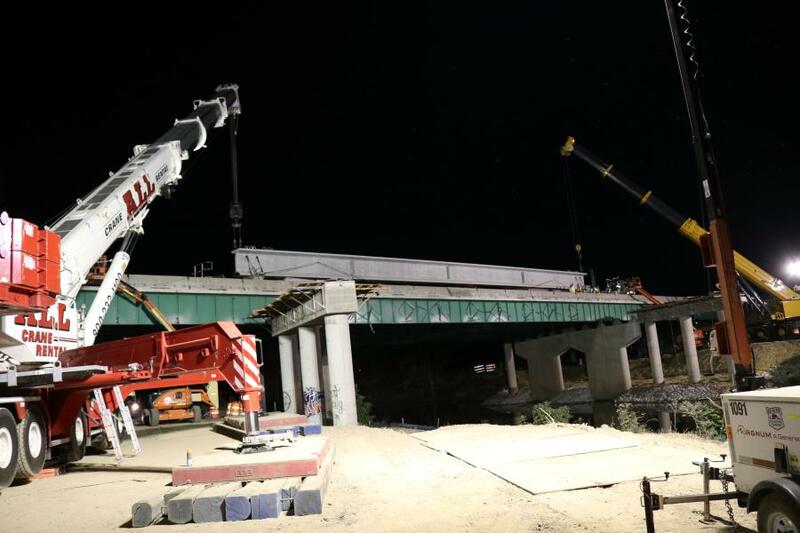 Right now 80 percent of the work is done by day shifts, but at the beginning of the project, it was 50/50 day and night shifts with bridge beam settings taking place along I-75. There are about 50-plus workers on site daily, with the major subcontractors being Shelly & Sands and the Shelly Company, along with smaller and local subcontractors. Preliminary figures for the project have about 400,000 cu. yds. of materials being excavated and removed, and about one million cu. yds. of embankment being brought in. Coordination is crucial on a large project like this. ODOT and Beaver Excavation share a building, which ensures problems are rapidly solved. Beaver Excavation has plenty of room for lay down and carpenter yards, materials storage, equipment storage and on-site repair facilities. The company purchased a property adjacent to the work site to support its efforts. White praised the efforts of Geletka and his crews. Work will continue throughout the winter as much as possible, particularly on the structures and bridges.